The Bank of Canada’s Business Outlook Survey is a quarterly summary of interviews conducted between the bank and approximately 100 senior managers from businesses across Canada. The report’s purpose is to gather the perspectives of business leaders on topics such as demand, capacity pressures, and other economic indicators. Although it is a small sample size, the report provides an excellent pulse-check on business competitiveness metrics. The Autumn 2017 Business Outlook Survey shows that despite a cooling-off from record breaking results in the summer, business executives are still optimistic about growth opportunities over the coming year. The report’s main metric that summarizes all other data points, the Business Outlook Survey (BOS) Indicator, remained positive at 0.86 (previously 2.81). Although this is not explosive growth and optimism, remaining modestly positive is a favourable result in uncertain and somewhat unpredictable times. Some positive business trends developing since last quarter include significant past sales growth and a levelling-out of input costs which will help to pass on favourable prices to customers and improve competitiveness moving forward. However, some of the more concerning trends discovered including limited spending on machinery and equipment, lower anticipated employment growth, and increasing labour shortages intensity. For the second survey in a row, Canadian businesses have shown strong performance in past sales growth, showing that the last 12 months have provided a significantly higher sales volume than the 12 months that preceded it. This trend positively corresponds to an increase in future sales indicators which has seen continuous growth since Summer 2016. Currently, 42% of surveyed businesses believe they will witness greater sales growth since a year ago, while 29% are expecting. This 13% balance of opinion is a notably favourable number considering the poor survey results obtained since mid-2015. After nearly a year of increases, Canadian businesses are finally expecting to feel a break in input costs over the next 12 months. This is important in maintaining profit margins and being able to supply customers over a long period of time. Runaway input costs are damaging to competitiveness, so minimal increases such as what’s being reported this quarter are preferable. There is an even split among Canadian businesses surveyed this quarter, with 24% of the audience suggesting input costs would decrease and another 24% signaling higher input costs. Ultimately, much of this will come down to the performance of the Canadian dollar; should it increase, companies will access imported goods at reduced rates. Corresponding to low input prices, it appears that many Canadian businesses will be able to offer more competitive prices for goods and services. This is timely, since two of the past four quarters have seen considerable growth in sales prices. While the economy can sustain some increase in sales prices, businesses must ultimately remain competitive with lower-cost jurisdictions or risk losing customers. Sales prices are expected to grow at a rate similar to its past 12 months, with 29% of those surveyed indicating higher price growth rates over the next 12 months versus 29% responding with lower growth rates. After a ‘surging summer’ of employment expectations, there are now fewer reported Canadian businesses expecting higher employment over the next 12 months, while at the same time, more companies are expecting lower employment. This is troubling since lower employment could lead to further labour shortages and capacity issues moving forward. Access hiring grants to offset a portion of the costs related to hiring recent post-secondary graduates. Labour shortage intensity has risen to its highest level recorded since the 2008-2009 recession, which is a definite cause for concern among many of Canada’s skilled industries. While the percentage of businesses dealing with labour shortages remained unchanged at 25%, these companies have expressed that the situation is worsening and they are less able to meet customer demand than they were a year ago. This is a signal that Canada’s labour market is weakening and experiencing a transition as older workers are increasingly reaching retirement and phasing out of the workforce. Despite many new graduates coming in to replace these workers, they may not yet have the skills or experience needed to contribute at a high level. Government funding programs such as the Canada Job Grant (CJG) are available to support employee training programs aimed at the reduction of skills gaps. While 41% of survey participants anticipate spending more on machinery and equipment over the coming year, 24% expect spending less. The 17% balance of opinion created represents a second straight month of deteriorated expectations, which is worrisome after a consistent increase through 2016 and into Q1 of 2017. Investing in technology will help fuel innovation and competitiveness, which are keys to strong business performance. Across Canada, several Canadian government funding programs exist to support the purchase of innovative machinery and equipment. Browse technology adoption grants and loans. Companies should keep in mind that Canadian government grants and loans are available to help overcome challenges such as hiring and training employees or investing in new equipment. When used strategically, Canadian government funding programs can significantly reduce the cost and risk of projects, helping employers become more competitive, both domestically and internationally. 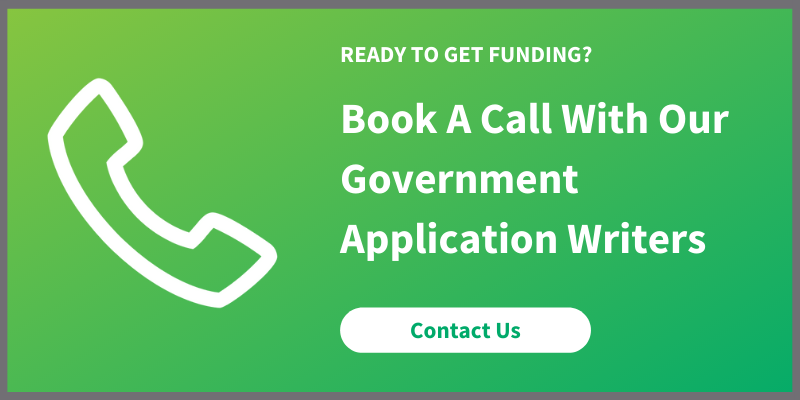 To discuss how government funding can improve your business’ competitiveness, please contact a Government Funding Planner™.